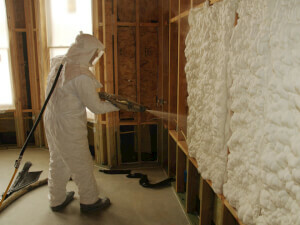 If you are looking to insulate your home, spray foam insulation might just be the best option. Traditional sheet insulation does serve its purpose, but it does not fill in all of the cracks and crevices in and around your home like spray foam does. 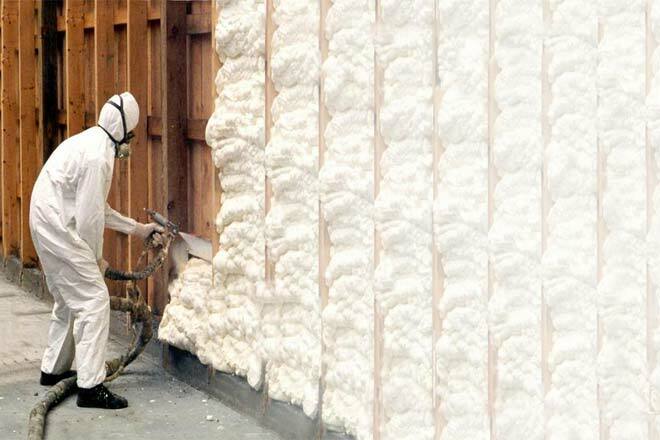 With spray foam insulation, you will increase your energy savings and reduce your monthly bills. It does, however, takes more time and manual labor to install, which means that the cost to insulate with spray foam will increase. There are a few variables at play here, so determining the exact price will depend on several things. Open cell insulation is less expensive but much more effective for home projects, and also reduces the overall price. Closed cell insulation does have advantages, but it is more often used in commercial insulation services. The lighter open cell density might cost around ￡0.34 per board foot, while the closed cell insulation may start at around ￡0.54 per board foot. At the low end, the cost of spray foam insulation can come in as little as ￡1,002 per 1000 sq ft, and at the high end as much as ￡2,775 per 1000 sq ft. Most UK homeowners spend an average of ￡1,927. For the best results, we recommend that you get in touch with spray foam insulation contractors in your area to compare quotes. This is the only way to ensure you get the best deal possible and maximize your savings at the same time. Insulation is something you might be able to do on your own, but certified professionals will be able to maximize your insulation and savings for the job. You are likely to use 10-15% more of the spray if you do it yourself, so finding out the board footage amount and adding it up from there will give you a clearer picture of what you stand to lose on spray costs if you actually tackle the job on your own. Naturally, this is the biggest aspect at play. Are you going to spray the entire house or are you just looking to finish an attic? Spraying the whole house may seem like the expensive option, yet the return on investment is what makes it so attractive. 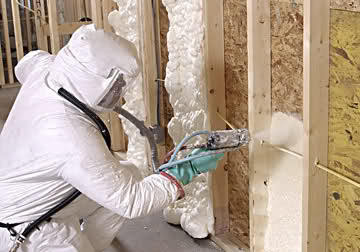 If you are renovating the home and have access to side walls, spray foam is a fantastic way to go. Just remember, every foot of board space you need to insulate can add anywhere from ￡0.34 cents to over ￡0.77. This means if you have a 10-foot wall that is eight feet high, you might spend anywhere from ￡26 to ￡61 just to insulate that small portion. If you think about how much surface area you have touching exterior walls, it is going to increase a large amount. Spray foam insulation offers you a fantastic way to boost your home value and reduce energy consumption each and every month. If you are in need of some professional assistance, it is always recommended that you compare quotes from several contractors before you agree to have any work done. Comparing quotes will give you a fair representation of pricing trends in your area. By filling in your postcode in the space provided on this page you are agreeing that Gradedtradesmen can connect you with professionals in your area. This is a 100% FREE, no-obligation estimate from the very best spray foam insulation companies in your area, so do not delay and take advantage of this offer now!